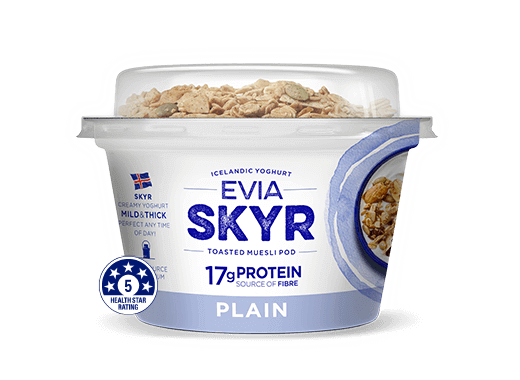 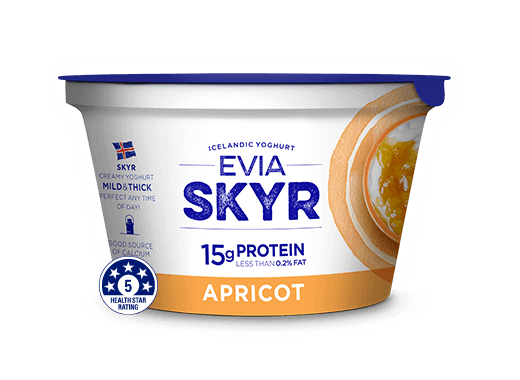 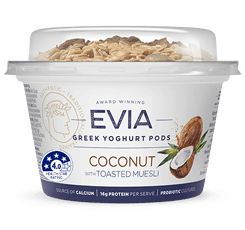 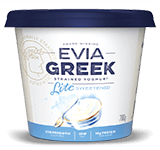 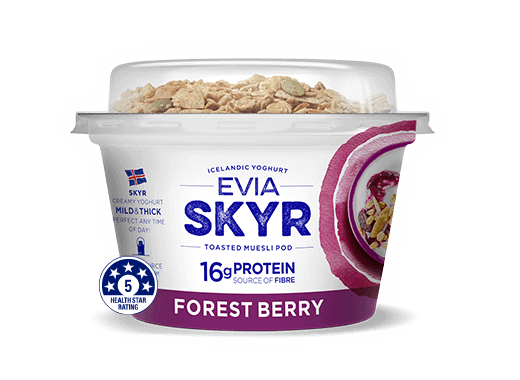 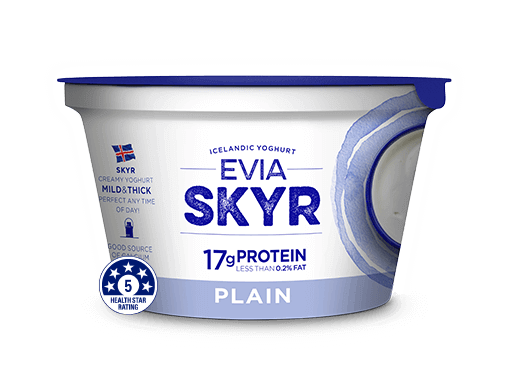 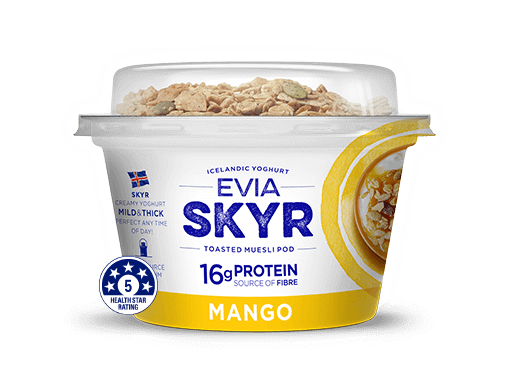 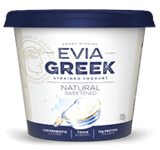 Evia Skyr (Skeer) mild thick and creamy yoghurt made with skim milk. 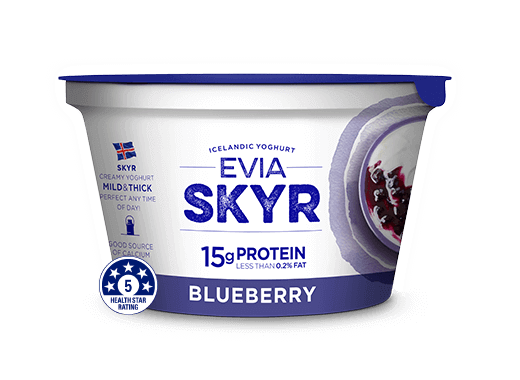 Mix with rich flavourful blueberry fruit coulie. 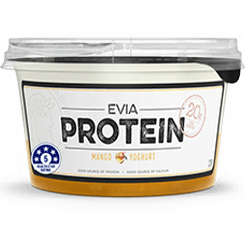 Packed with protein perfect for an afternoon snack!